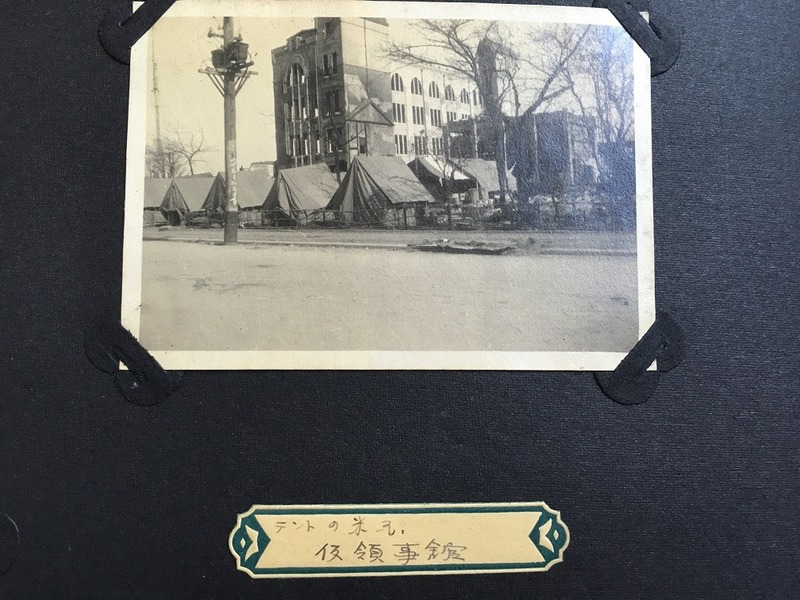 In two previous posts I talked about the treasure trove of old Yokohama photographs tied to Helm Brothers that I got a hold of after the translation of my Japanese book came out. 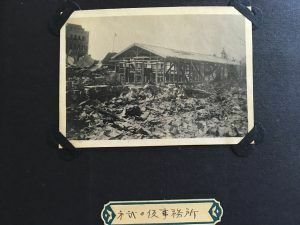 The photo albums were in the possession of Joji Tsunoda. 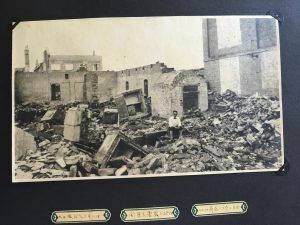 It was Joji’s father, Ranso Wolff, who was born in 1894 and worked for my grandfather Julie and great uncle Charles, who took the photographs. Ranso’s father, worked as a manager of the docks for my great grandfather. Here they are the photographs. This post has more about how I connected with Joji. This post talks more about Joji and his father. 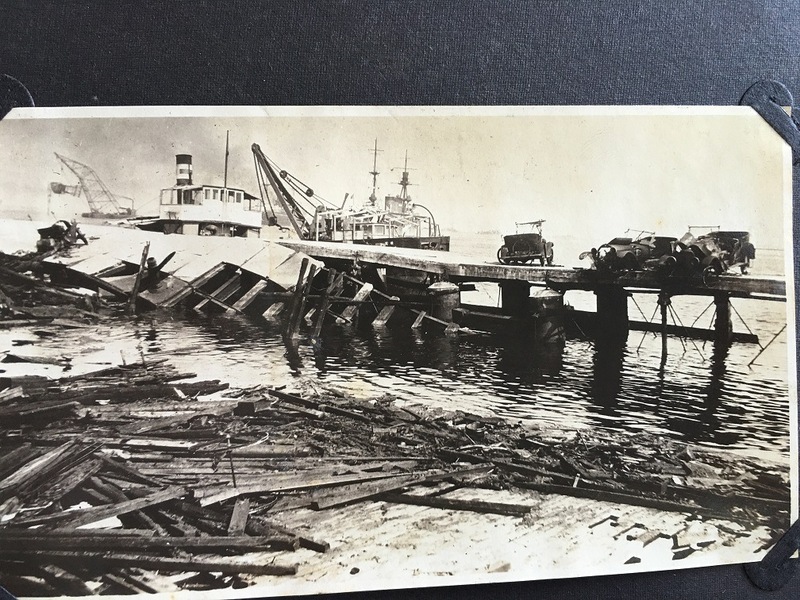 This is probably a picture of the South Pier in Yokohama after the 1923 earthquake. The crane in the back may be the 2-ton floating crane that Helm Brothers operated and which was reportedly used to help in the reconstruction of Yokohama after the earthquake. The Helm Brothers safe survived the earthquake, but everything inside was reduced to ash. 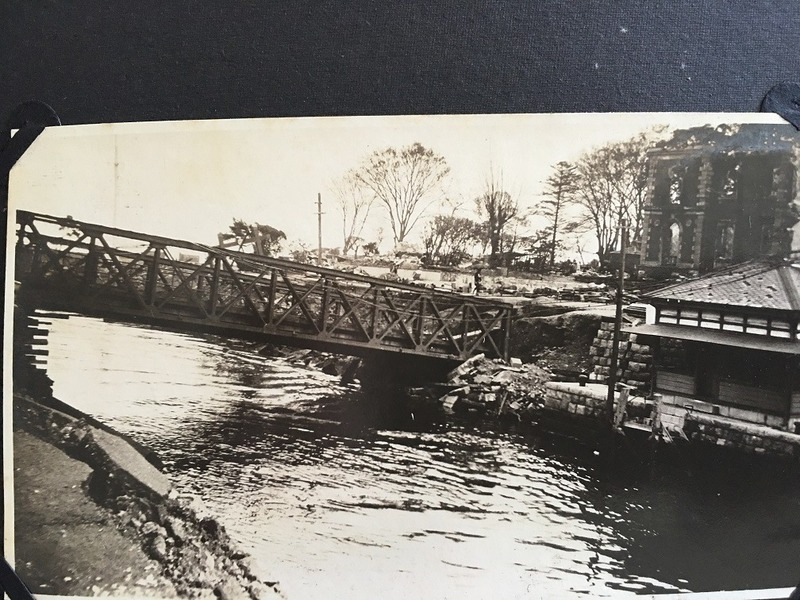 The picture below is of a bridge crossing Motomachi canal. I believe the building on the other side of the canal is the remains of the old French consulate, behind which was a road leading up to the Bluff. Halfway up the bluff was the first brothel that featured white women, or so my father had heard. 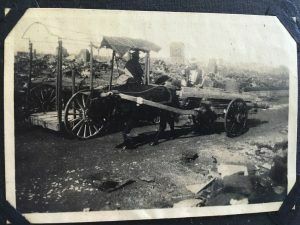 Helm Brothers uses horse carts to bring in lumber for the reconstruction of Helm Brothers’ Yokohama headquarters. 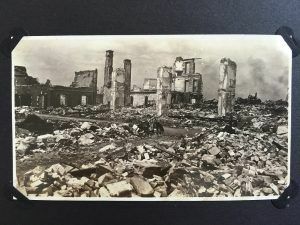 Rebuilding Helm Brothers’ Yokohama headquarters.